1996 LDM Buick Roadmaster Estate Wagon- Riviera wheels, tow pkg. I just saw this old post, funny. I never really cared to notice what model the police were driving until I got the Caprice, now I always look. I'm disappointed when it turns out to be an Impala or a Taurus. Lol, that hasn't happened to me yet. 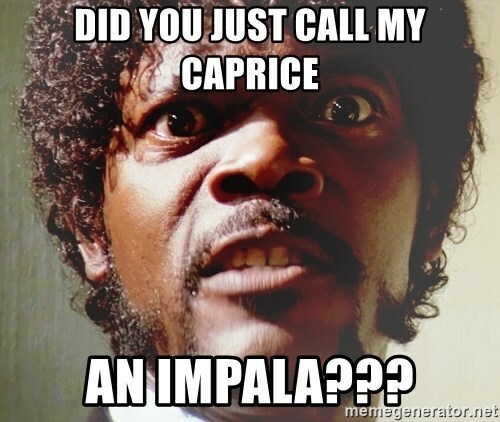 That is how I feel about GM's fwd Impala. It happened to me since there aren't any other Caprices here. I have only seen caprice s when traveling south on 95 from about south jersey to N. Carolina. None up here in the northeast. From NY to Fla and seen a few(3 ish). Lots of Dodges and Fords and SUVs (police).